Revolver is a coffee shop located on Cambie Street in Gastown. 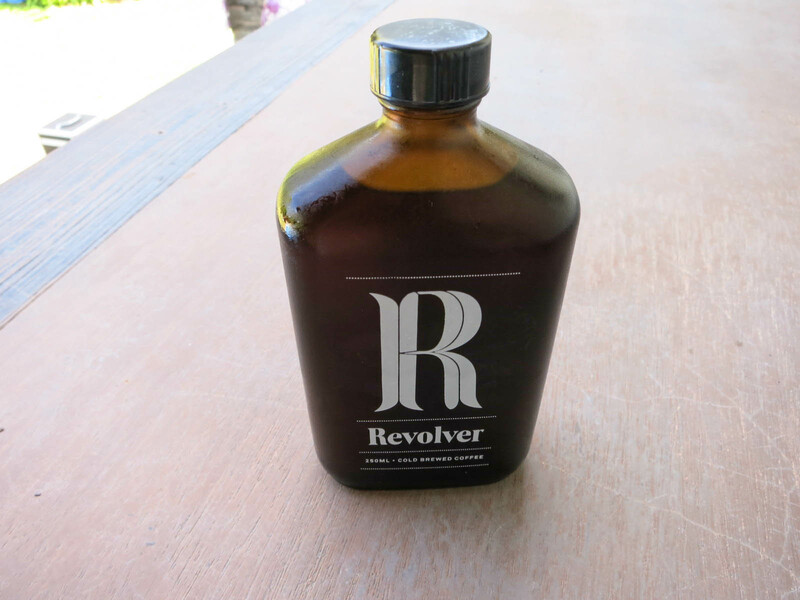 Revolver isn’t your Starbucks type cafe. 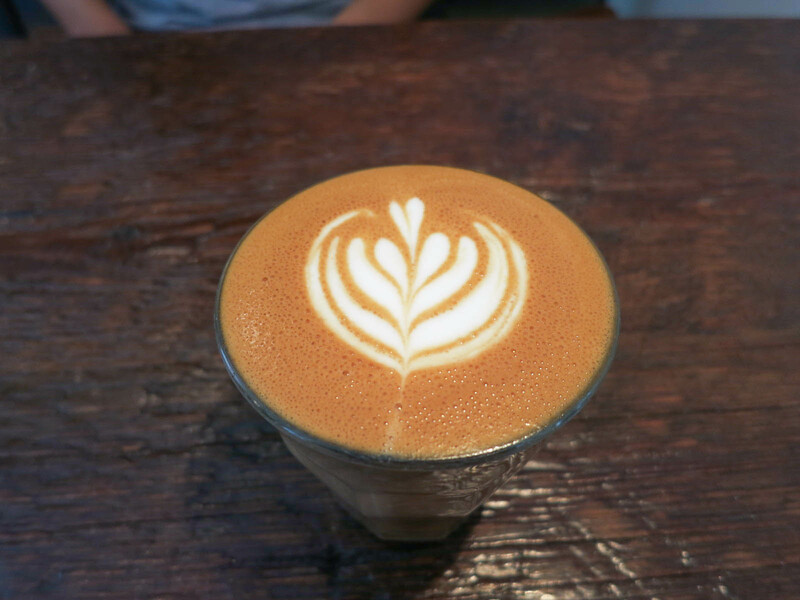 Their menu is simple and they focus on good quality coffee from world class roasters. I regret that it took me so long to try this place because one of my favourite indulgences in life is a well crafted coffee drink. I finally got around to trying it and I fell in love with this place. This post is a compilation of many visits I’ve made. The shop inside is relatively small. There are a few tables and some bar stools. This isn’t the kind of place you bring your laptop and sit in for hours, it is more of a social coffee shop. I also have to say that for being a cool hipster shop, they have nice and friendly customer service. The cappuccinos here are served in a small cup and are a few ounces smaller than the lattes. Other mainstream coffee shops like Starbucks serve a cappuccino that resembles more of the “dry style” of cappuccino, where there is more foamy, bubbly milk. At Revolver, their cappuccino resembles a “wet style” cappuccino where it is not as fluffy and foamy and there is more milk mixed into the drink itself. I prefer the style of cappuccinos they serve here. They still have a light and slightly bubbly milk texture, but I find this version more enjoyable to drink. This was one of the best cappuccinos I have had. The macchiato here is served the traditional Italian way with a shot of espresso that is lightly “marked” with a bit of milk. This macchiato was great. It is a perfect drink, if you want something small, that still packs a caffeine punch. There was a good amount of milk in this to make it creamy and less harsh than espresso on its own. The latte here is the biggest drink that they have. There is significantly more milk in it, which makes it creamier, heavier, and richer than the other drinks. The espresso taste is more diluted in this drink, due to more milk, which could be good or bad depending on what you are looking for. I prefer the cappuccino over the latte. 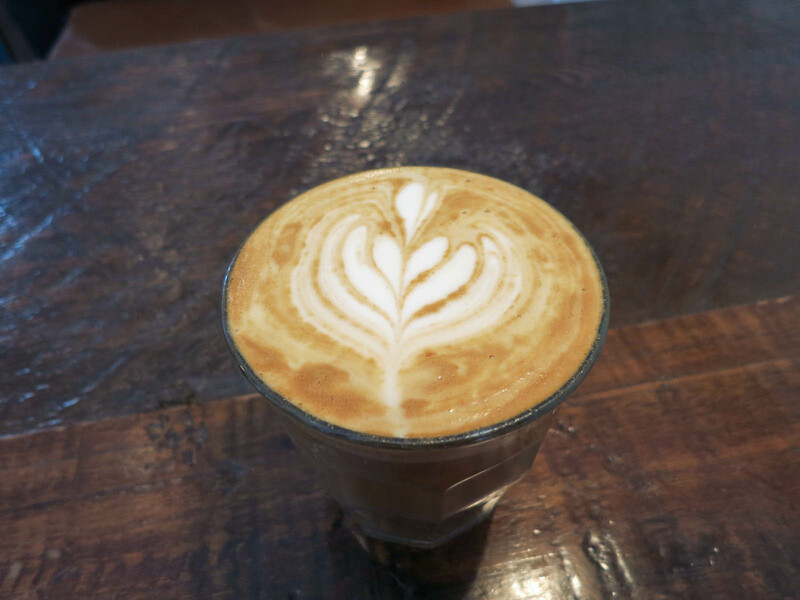 Outside of their espresso creations, they have an extensive line of coffee. They use special equipment and a pour over brewing method, so they make your coffee fresh for you and it takes a little longer. I went with their daily feature coffee, which was from Phil and Sebastian Coffee Roasters in Calgary. The description said it had a “juicy” flavour with notes of dark chocolate and raspberry. I’ve never had good quality coffee brewed this way before, but it has now changed my perspective on coffee forever. I didn’t realize how much of a difference it makes taste wise. 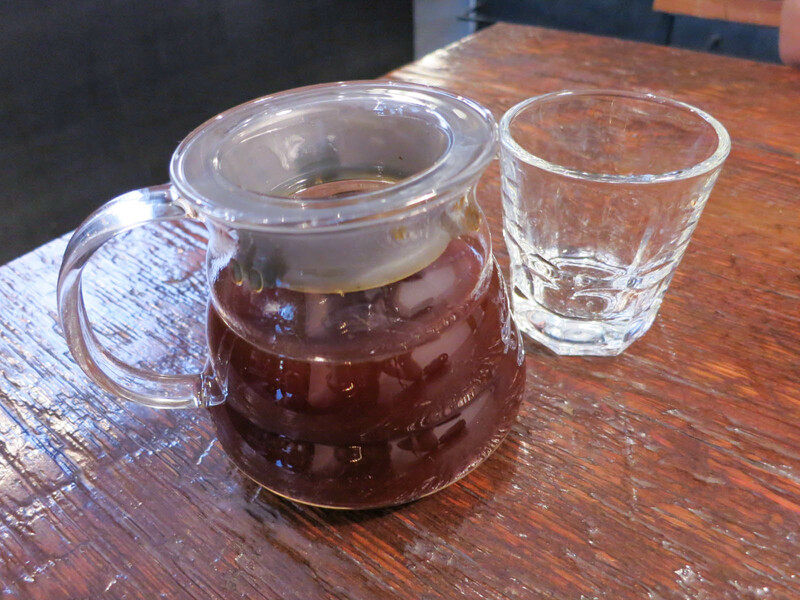 Your average drip coffee tastes like, well, coffee. But with this coffee you can actually pick up the flavour notes. I definitely noticed a fruity flavour to the coffee. I rarely drink black coffee, but I loved this coffee so much that I didn’t add anything. It was so delicate and smooth and it had such an interesting unique flavour I didn’t want to dilute it and ruin it. I also tried a bottle of their cold brew coffee. They get bonus points for having such a cute little flask like bottle. I felt guilty throwing it out after. I really enjoy cold brew coffee. I like how it goes down smoother than a regular iced coffee. I found this bottle to be a bit too bitter for my personal preferences. I prefer a lighter coffee. It wasn’t bad, but I do like the bottles of Stumptown cold brew coffee more. In case you didn’t realize from this long post, I love Revolver. My two favourite things from here is their cappuccino for a milky espresso drink and their daily feature coffee. They have expanded my coffee horizons and turned me into a coffee snob, so now all I want is their coffee. If you like coffee, you must give them a try. Yes, for my favourite coffee in Vancouver. Thanks for kind words and coming in so many times – glad you enjoyed it!